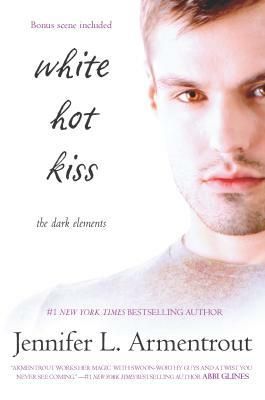 #1 New York Times bestselling author Jennifer L. Armentrout draws readers into the extraordinary, irresistible world of Wardens and demons in the New York Times bestselling first book of The Dark Elements series.One kiss could be the lastSeventeen-year-old Layla just wants to be normal--fit in at school, and go out on a real date with the gorgeous Zayne, whom she's crushed on since forever. Trouble is, Zayne treats Layla like a sister--and Layla is anything but normal. She's half demon, half gargoyle, with abilities no one else possesses. And even though Zayne is a Warden, part of the race of gargoyles tasked with hunting demons and keeping humanity safe, Layla's kiss will kill anything with a soul--including him.Then she meets Roth--a tattooed, sinfully hot demon who claims to know her secrets. Though Layla knows she should stay away, it's tough when that whole no-kissing thing isn't an issue. Trusting Roth could ruin her chances with Zayne--and brand her a traitor to the Warden family that raised her. But as Layla discovers she's the sole reason for a violent demon uprising, kissing the enemy suddenly pales in comparison to the looming end of the world.